Back-Roller Design with new fresh designs! The spacious pannier for the rear carrier is offered in various colour combinations and in four variations: ONE LESS CAR, CYCLEDELIC, WOODLAND and UPHILL. Energetic, young and fresh, all functions of the ORTLIEB classic Back-Roller are maintained. An inner pocket with main compartment and mesh pocket keeps things organized. 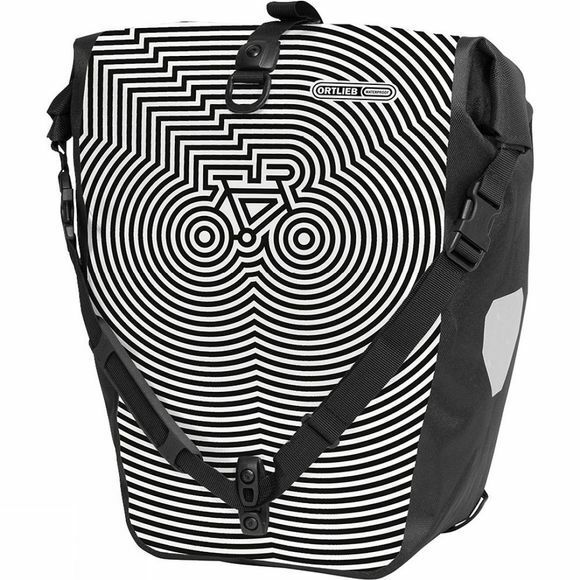 The pannier features a shoulder strap and can be carried like a shoulder bag. Two large and highly reflective 3M Scotchlite reflectors ensure safety in the dark.